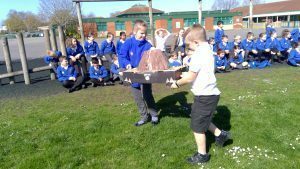 To kick start our explanation text writing Year Three have exploded some volcanoes. 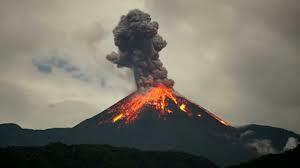 Until the end of term our Literacy focus will be writing explanation texts. 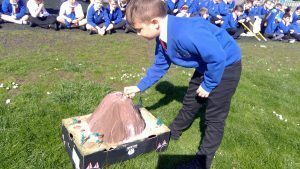 This links with our current topic of Extreme Earth, in which we have been looking at natural disasters. 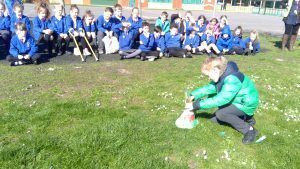 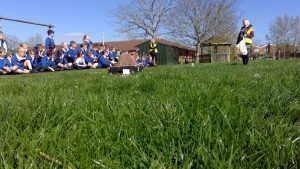 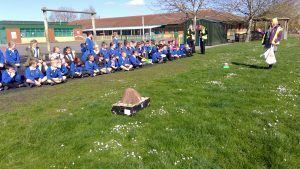 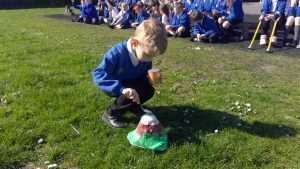 So far we have looked at ‘the ground under our feet’ and volcanoes. 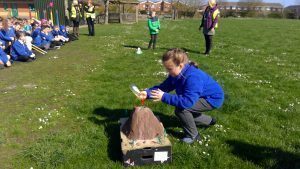 We will soon be discovering more about Earthquakes, Tsunamis an Tornadoes. 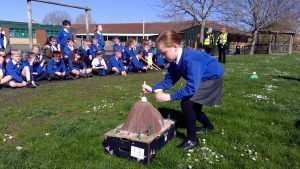 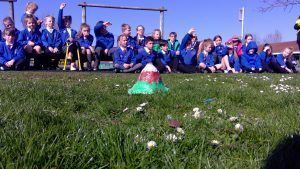 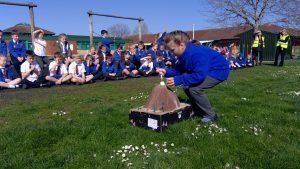 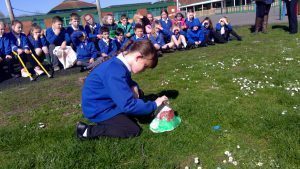 A big thank you to Emie, who took it upon herself to do some extra research over the weekend and also make her very own volcano which helped with our experimentation today.